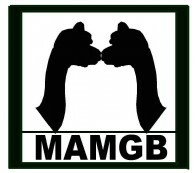 Huacaya Foundation Herd Alpacas For Sale: Wisconsin, Waukesha: Greenbriar Farm - MAM Consulting Associates Inc. Bumpy long fleece right out of the Womb! MAMGB Heyun Sapa (Hay'-Un) "Bundled in Black"
Out of the night - exceptional! Her spirit is one of tender leadership. AFD=16.9 SD=4.1 Her 6th shearing!